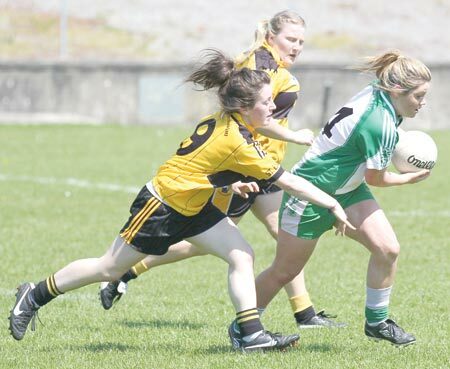 The ladies were at home this weekend to a strong Saint Eunan's side. 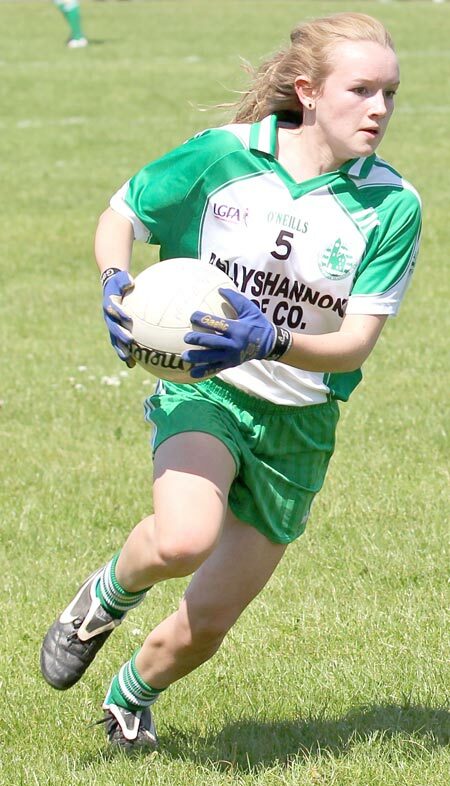 After a delay in the start of play due to a pitch invasion of a canine nature, the game got underway in very hot conditions shortly after 12noon. 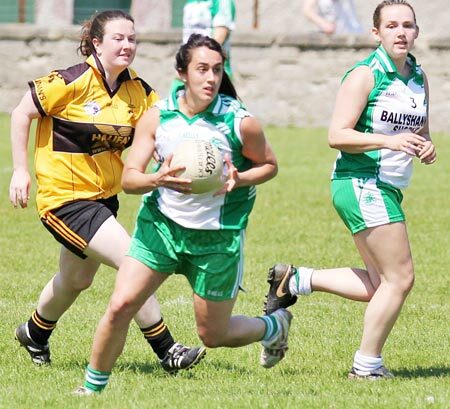 While the Ladies have been beaten in all but one game this season, this young side are definitely improving greatly with each game. 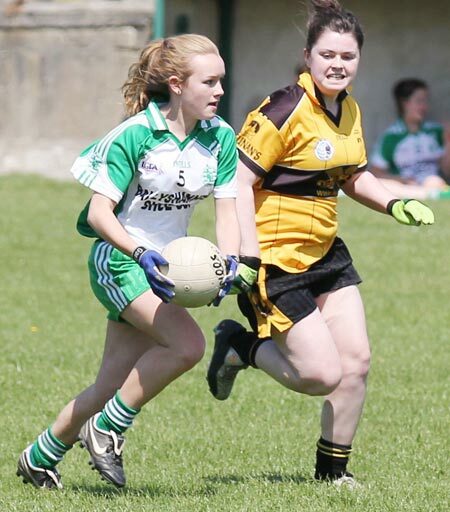 The first half saw Aodh Ruadh make things difficult for the girls from Letterkenny. 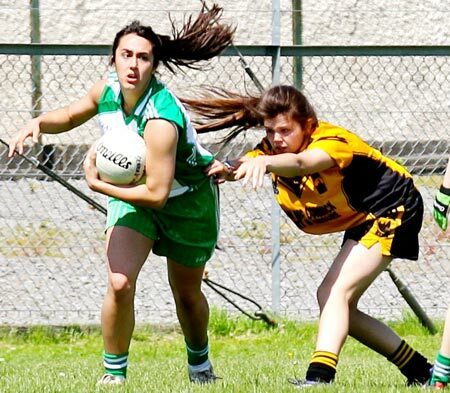 With Katie Flood controlling the full back line aided by Tara Khan and the young Roise Keon at half back scores did not come easy for the Letterkenny girls. 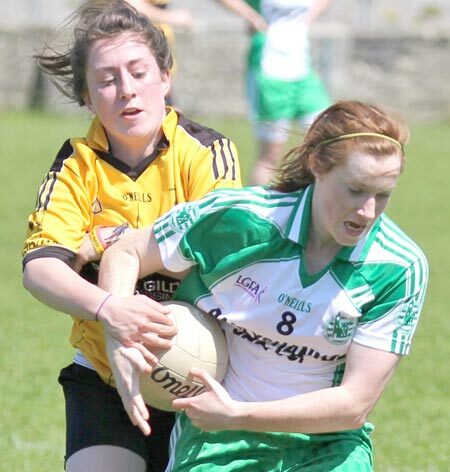 Up front two Donna Martin frees helped to settle the girls, this along with the return of Anna Rafferty and Emma McPhelim saw an injection of both confidence and experience in the forward line. 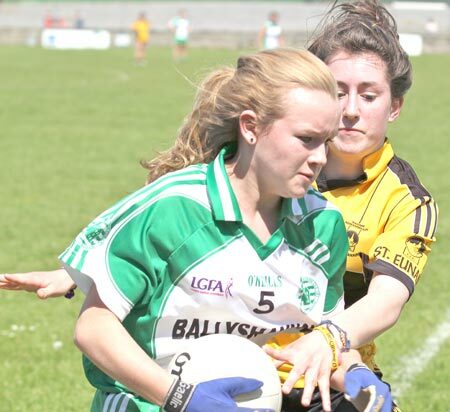 Qualities which the Erneside ladies were lacking in their earlier games. 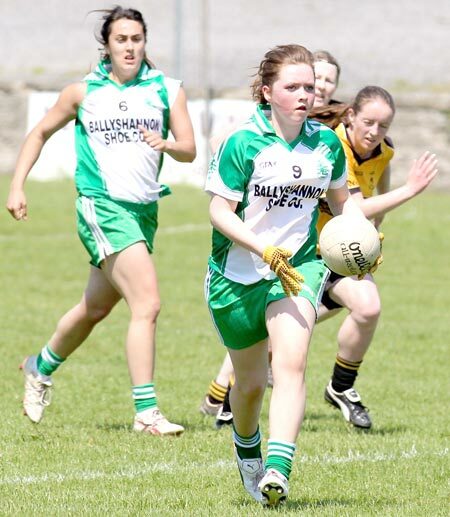 At half time while the girls were down, they had every right to be happy with their performance. They had fought hard and done all they could to contain the visitors. 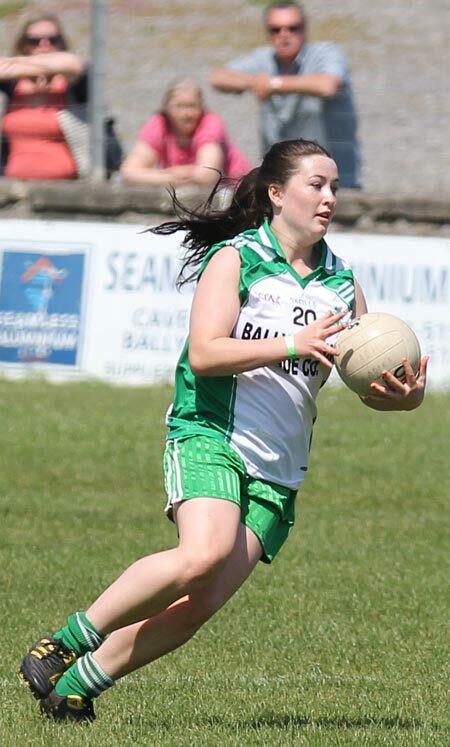 The second half saw Ballyshannon start in a similar fashion with a Sarah Patton point. 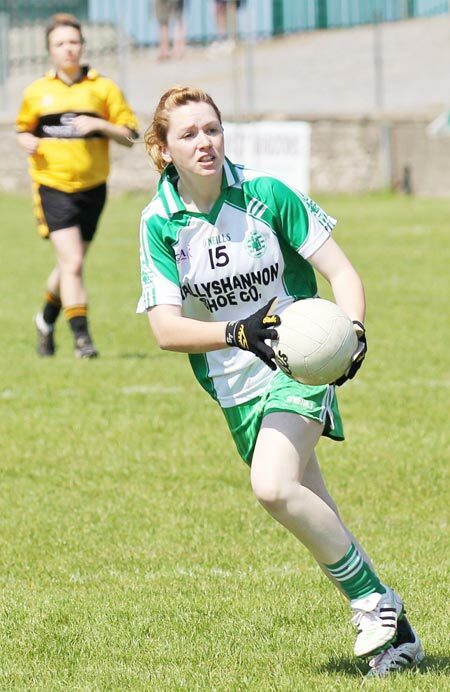 However, as the heat intensified things were made almost impossible Aodh Ruadh and luck deserted them altogether. 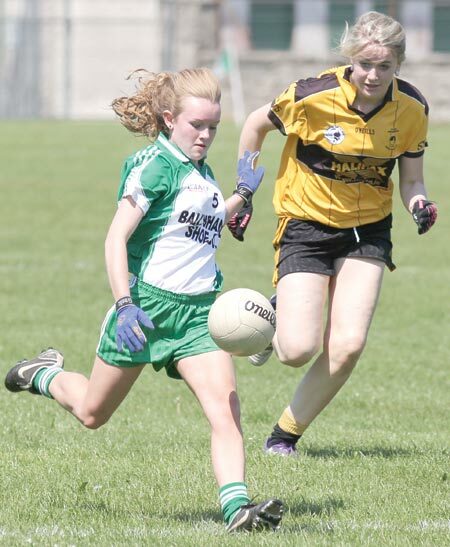 After two Saint Eunan's goals confidence dropped and the girls began to struggle. 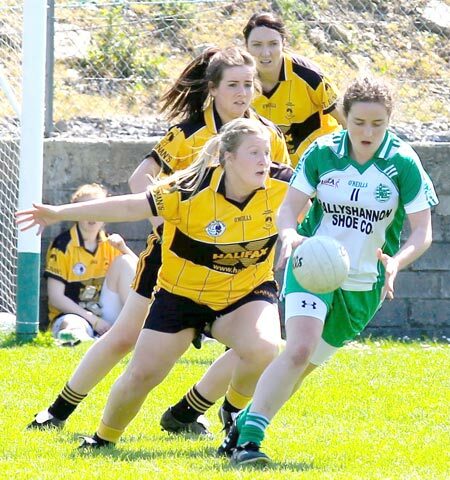 While it was not meant to be for the Aodh Ruadh Ladies, if they take nothing else from the game they should be happy with the fact that this young team have made huge improvements since the beginning of the season and will certainly be a force to be reckoned with before very long.